Federal health regulators have warned that viscous lidocaine products should not be used to relieve teething pain in children younger than three years old. The labels for these products must now include a Boxed Warning regarding serious negative reactions that may occur when viscous lidocaine is used in this manner. You may be able to file a lidocaine lawsuit if your child suffered a serious adverse reaction following the application of viscous lidocaine to relieve teething pain. If you would like to learn more about your possible legal options, please contact Bernstein Liebhard LLP today, by calling (888) 994-5118. Prescription oral viscous lidocaine products have been approved by the U.S. Food & Drug Administration (FDA) to numb irritated or inflamed mucous membranes of the mouth and throat, or pharynx. They are often prescribed to chemotherapy patients (children and adults) who can not eat because of mouth ulcers. Dentists may also use viscous lidocaine to reduce the gag reflex in children during dental X-rays and impressions. Viscous lidocaine has never been approved to treat teething pain and should NOT be given to infants and young children for this use. Yet in 2012, more than 36,000 prescriptions for viscous lidocaine solution were written for children under the age of two. A review of the FDA’s Adverse Event Reporting System (FAERS) database and the medical literature through December 2013 identified 22 cases of toxicity with the use of viscous lidocaine in children 5 months to 3.5 years of age. Of the 22 cases, 6 cases resulted in death, 3 were considered life-threatening, 11 required hospitalization, and 2 required medical intervention without hospitalization. According to the FDA, 7 of the 22 cases resulted from lidocaine overdose due to a failure on the part of caregivers to follow prescriber directions or the administration of additional doses beyond what was prescribed. Accidental ingestion occurred in 7 cases, and 4 cases involved overdose due to a prescribing error. The root cause of the error could not be identified in the remaining incidents. Postmarketing cases of seizures, cardiopulmonary arrest, and death in patients under the age of 3 years have been reported with use of Lidocaine Viscous 2% when it was not administered in strict adherence to the dosing and administration recommendations. In the setting of teething pain, Lidocaine Viscous 2% should generally not be used. For other conditions, the use of the product in patients less than 3 years of age should be limited to those situations where safer alternatives are not available or have been tried but failed. 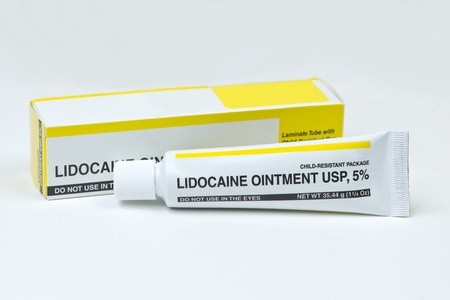 To decrease the risk of serious adverse events with use of Lidocaine Viscous 2%, instruct caregivers to strictly adhere to the prescribed dose and frequency of administration and store the prescription bottle safely out of reach of children. The FDA also required revisions to the Warnings and Dosage and Administration sections of the drug label to describe the risk of severe adverse events and to include additional instructions for dosing viscous lidocaine when it is prescribed for approved uses. Use a teething ring chilled in the refrigerator (not frozen). Gently rub or massage the child’s gums with your finger to relieve the symptoms. The agency has also cautioned that parents and caregivers avoid local anesthetics such as viscous lidocaine or benzocaine-containing teething products except under the advice and supervision of a health care professional. According to the FDA, topical pain relievers and medications that are rubbed on the gums are not necessary or even useful because they wash out of the baby’s mouth within minutes, and they can be harmful. Was Your Baby Harmed by Lidocaine? Contact an Attorney Today. If your baby suffered an adverse reaction due to viscous lidocaine, the attorneys at Bernstein Liebhard LLP would like to hear from you. To learn more about filing a lidocaine lawsuit, please call (888) 994-5118 for a free, no-obligation review of your case.